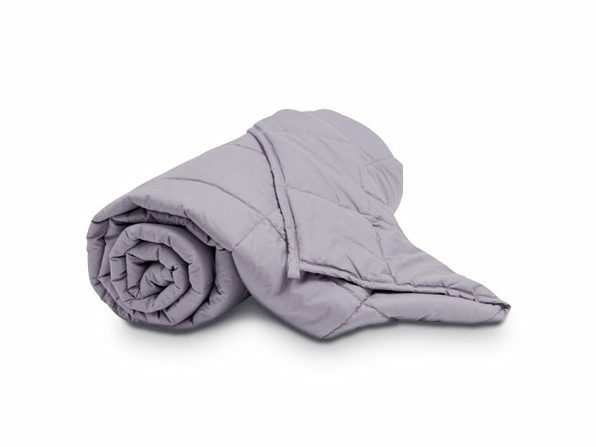 Treat yourself to a better night's sleep with a weighted blanket you can use all year long. 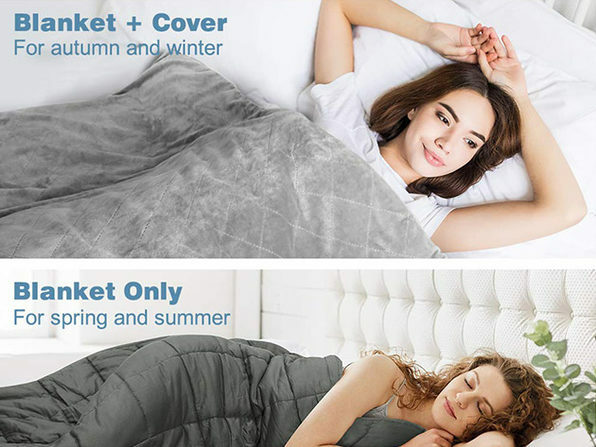 Featuring a unique 2-in-1 design, this weighted blanket comes with a removable 100% mink cover that you can easily take off during the warm months. 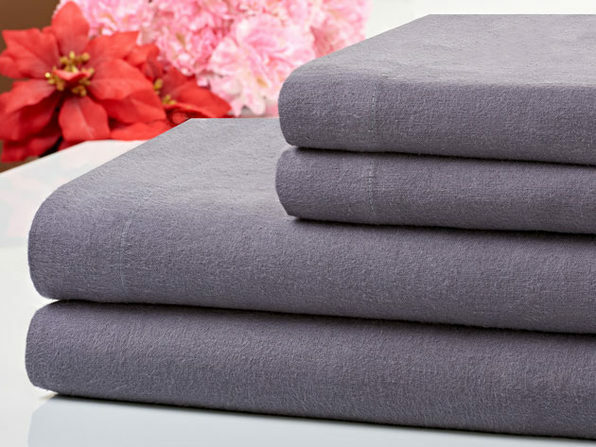 The blanket is made up of multiple 6" x 6" squares filled with tiny odorless and non-toxic beads that apply pressure while you sleep and make you feel like you're being hugged. The cover also features corner ties and a hidden zipper to easily attach it and reduce clumping. 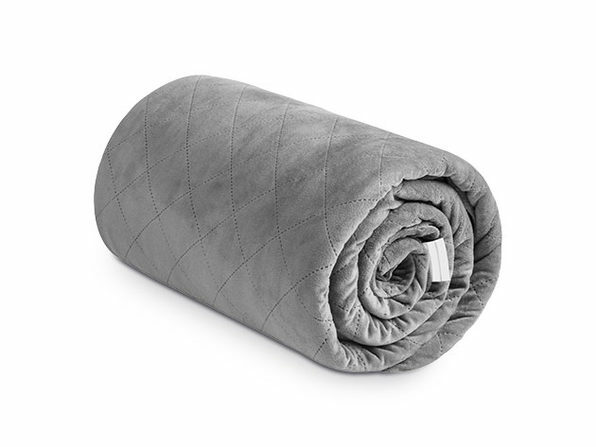 Note: Pregnant women, babies under 5 years old, and people who can't move the weighted blanket themselves are prohibited to use them. 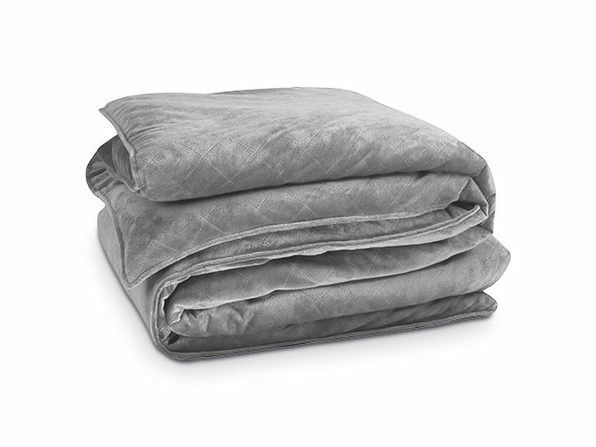 A weighted blanket should be smaller than your regular bed blankets, because it is made to cover your body, not the whole bed. This is why the twin/queen/king sizes of weighed blankets are smaller than the mattress. Weighted Blankets should never go past the shoulders, and should never cover the head.